Brian Shawcroft grew up in Nottingham, England. He graduated from the West Essex Technical College and School of Art in 1953 with an ARIBA degree. 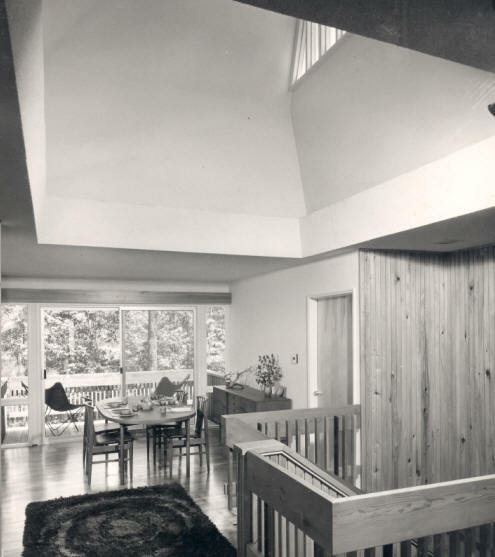 He interned for Tomei and Maxwell in London in 1954, Slater Uren and Pike from 1954-1956, Page and Steele in Toronto from 1956-1959, and Eduardo Catalano in Cambridge MA in 1960. 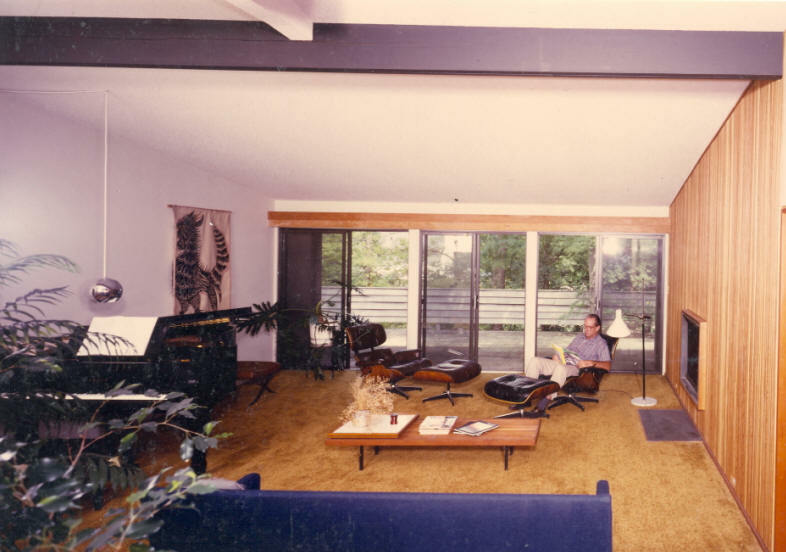 He finished his Masters in Architecture at both MIT and Harvard University in 1960. 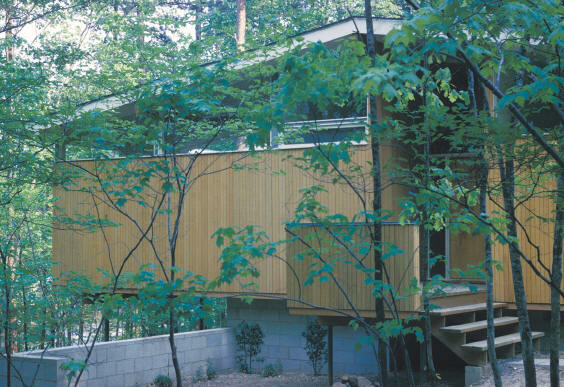 From then until 1968 he was an associate professor of architecture at the NCSU School of Design. He worked with Holloway and Reeves then started a private practice as Shawcroft, Burns, and Kahn. 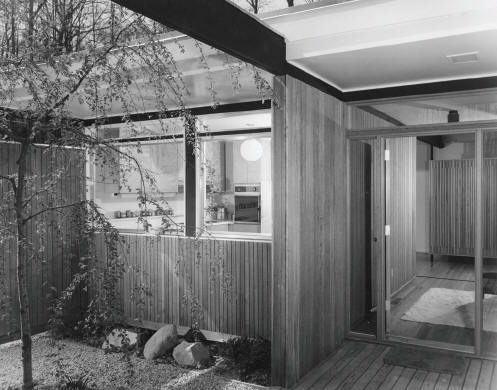 In 1968, he joined with Dan MacMillan to form MacMillan MacMillan Shawcroft and Thames which broke up in 1970. 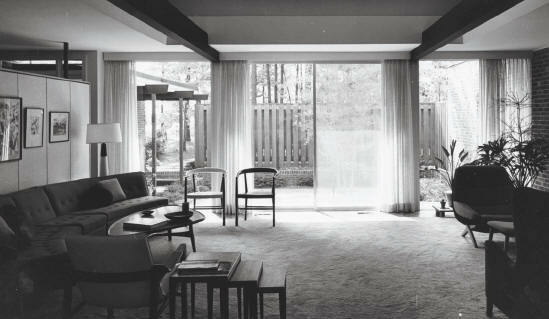 For a brief time, he worked with Harwell Hamilton Harris on Cox Avenue in Raleigh. With Clay Taylor and Jerry Cook, he established Environmental Planning Associates in 1971 which became Shawcroft Taylor a few years later. That lasted until 1990 when he became part of McKimmon Edwards Shawcroft with his tennis partner Jimmy Edwards and Arthur McKimmon. He left around 1992 then went on his own. 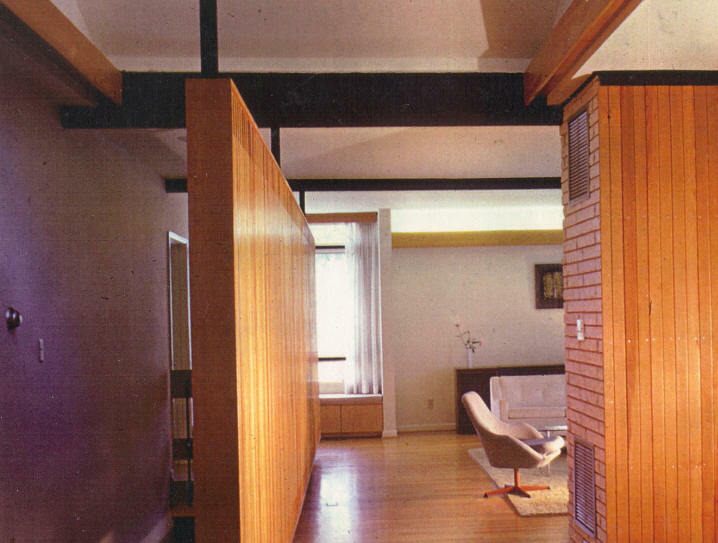 Shawcroft designed much of the local Modernist inventory 1970-1990. In 1991, Shawcroft was awarded the Henry Kamphoefner Prize. 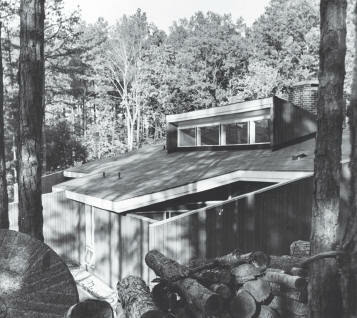 He underwrote a yearly freehand drawing prize at the NCSU College of Design. He was a consummate photographer. Brian was a skilled tennis player and a highly sought-after dance partner. He loved classical music, jazz, opera, ballet, and fast Jaguar sports cars. 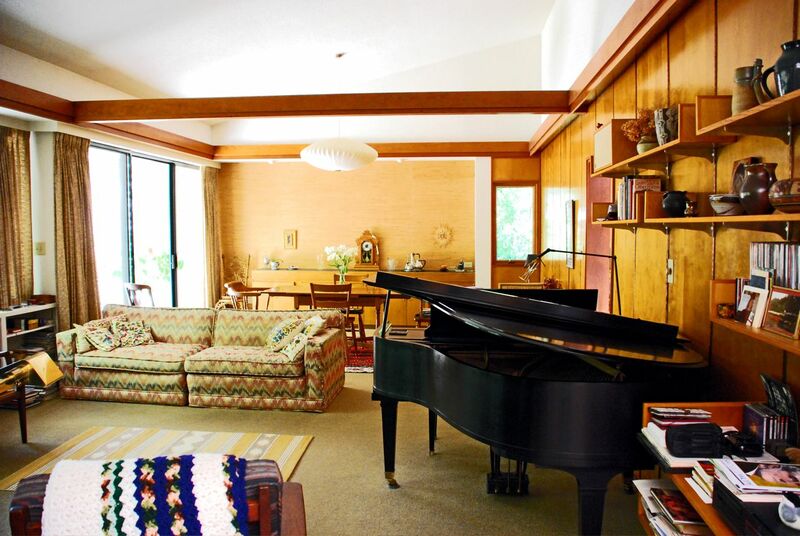 Parties at his house often ended with him playing jazz on his grand piano. On his deathbed in palliative care, he was offered extreme life-prolonging procedures. He declined. Instead, he asked for, and received, a martini. 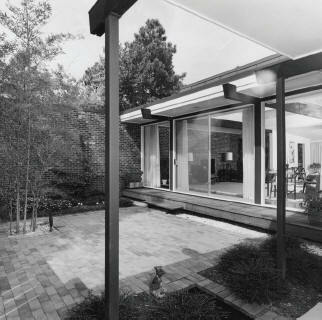 1962 - The Hans and Christian Gerhard House, 2707 Sevier Street, Durham NC. 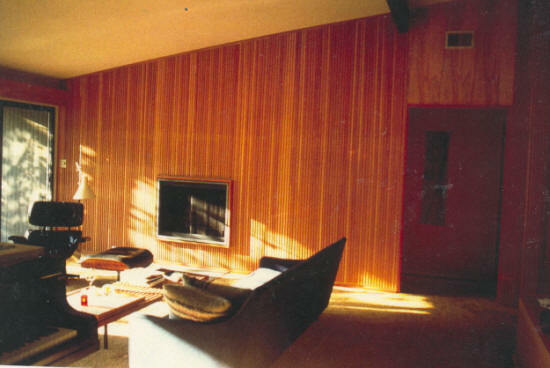 Designed while Shawcroft worked for Charles Kahn. Built by C. S. Witt. 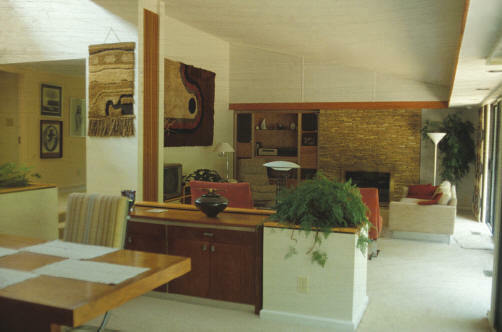 Sold in 1966 to Philip and Helen Pratt. 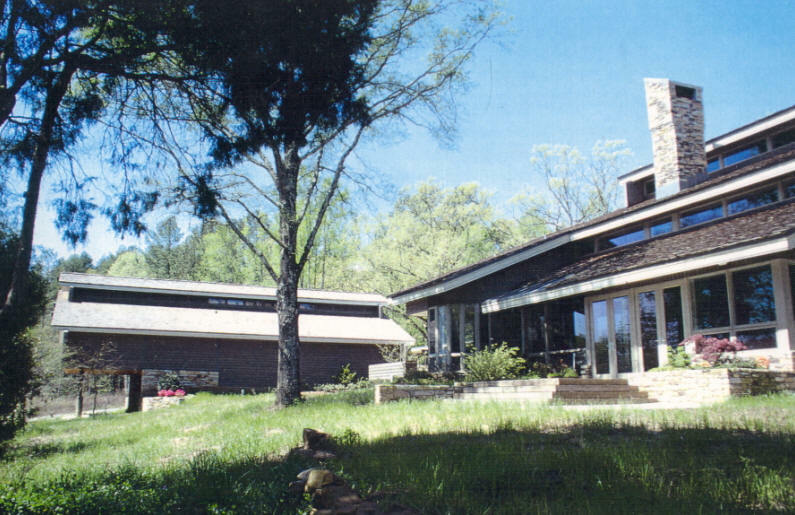 Sold in 1994 to Adam and Sheryl Fowler. Sold in 2017 to Jennifer and Peter Hoff. Bottom four photos by Sheryl Fowler. 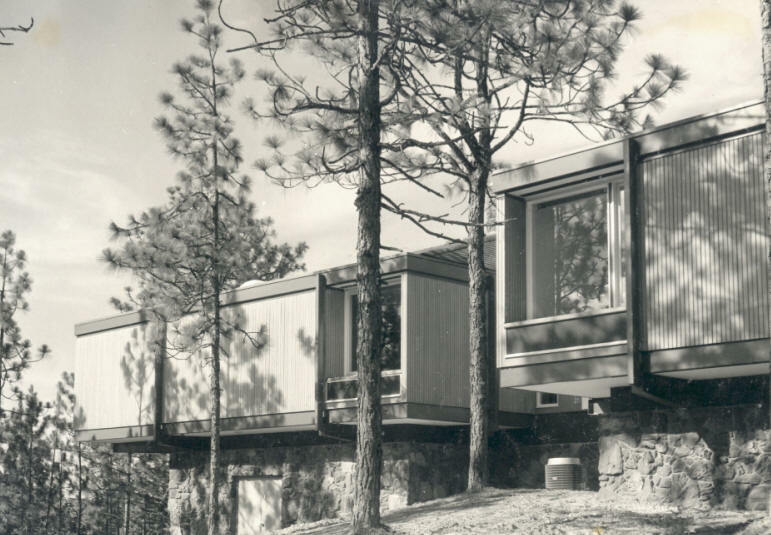 1962 - The Louis and Helen DeAlessi House, 2624 McDowell Road, Durham. Built by C. S. Witt. Published in Southern Living. 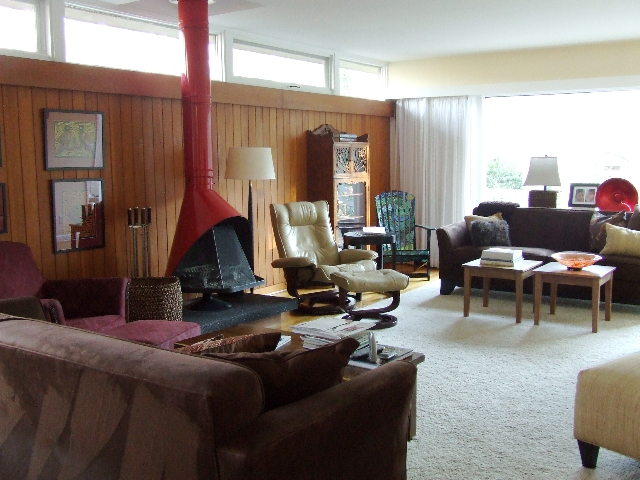 Sold in 1968 to Philip and Mary Lou Stevenson. 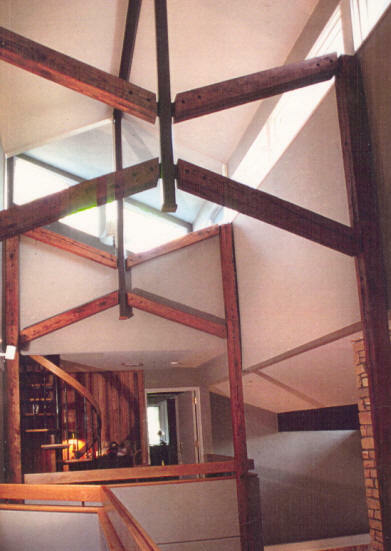 Sold in 1987 to Gregory Ruff. Sold in 1993 to Erol and Deniz Gelenbe. Sold in 1998 to Daniel Barboriak who still owned it as of 2014. 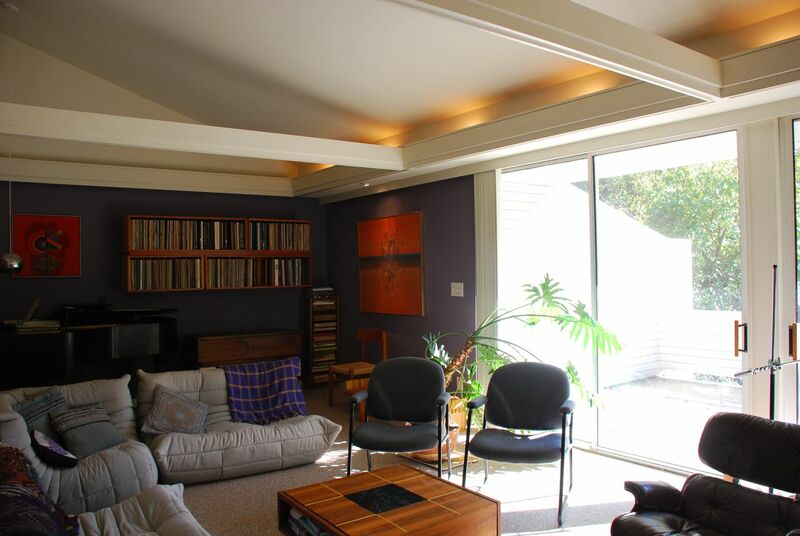 Renovations built by Leon Meyers Builders. 1963 - The Bruce and Nancy Wardropper House, 3443 Rugby Road, Durham. 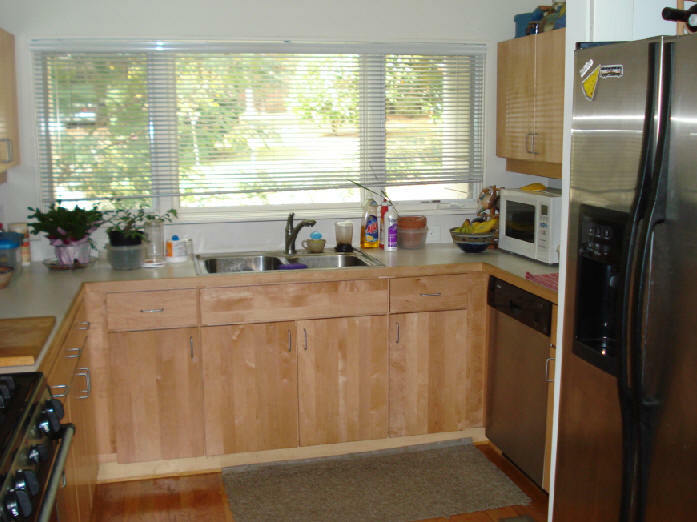 2280 square feet. 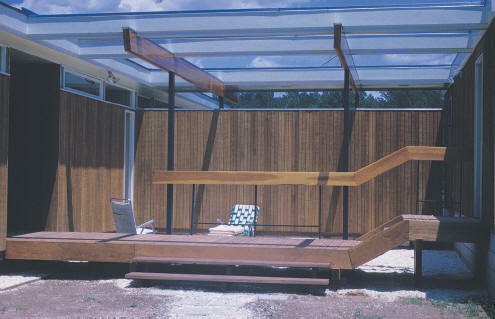 Doug Janes designed the carport and has plans on hand for a bathroom renovation. 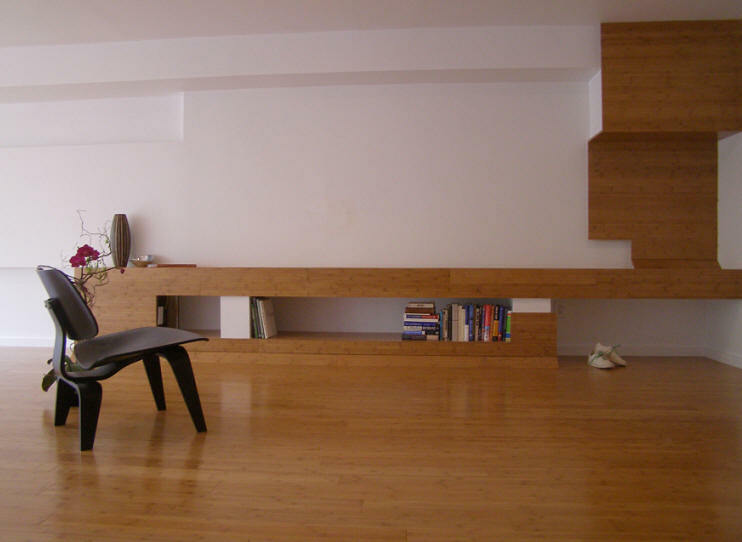 Sold in 2006 to Deborah Kargl. 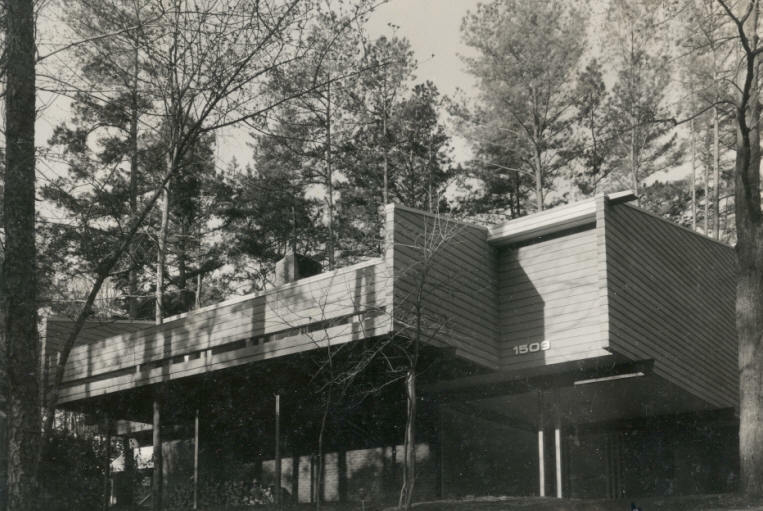 1964 - The Leroy B. and Charlotte M. Martin House, built to the west of Crabtree Valley, Raleigh. Had its own private bridge over Crabtree Creek off of Highway 70. Built by C. S. Witt. 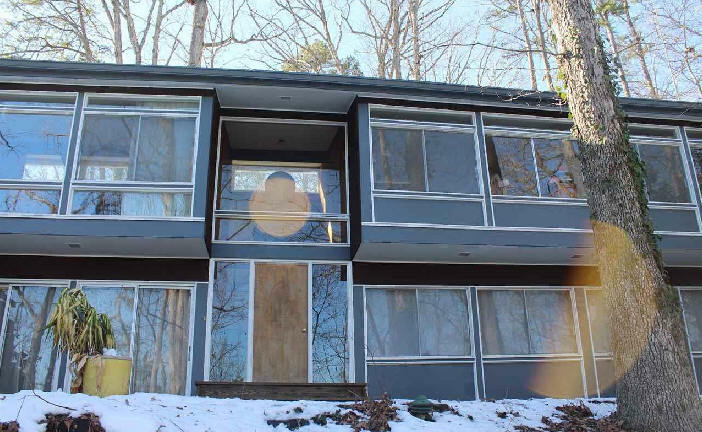 Sold to a developer. 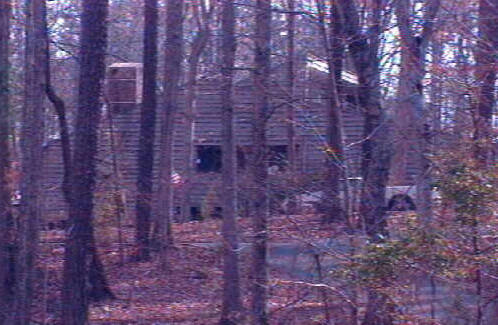 The house was destroyed around 2001. 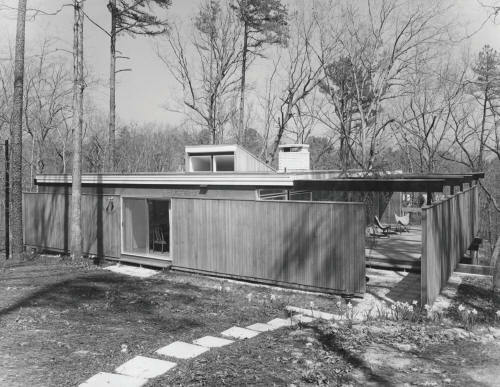 1965 - The Donald A. Seanor House, 6 Davie Lane, Chapel Hill. 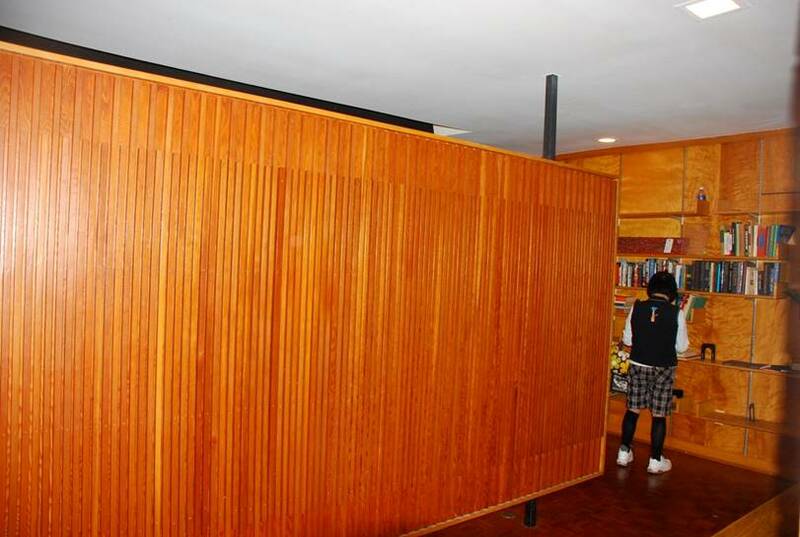 Commissioned 1963. 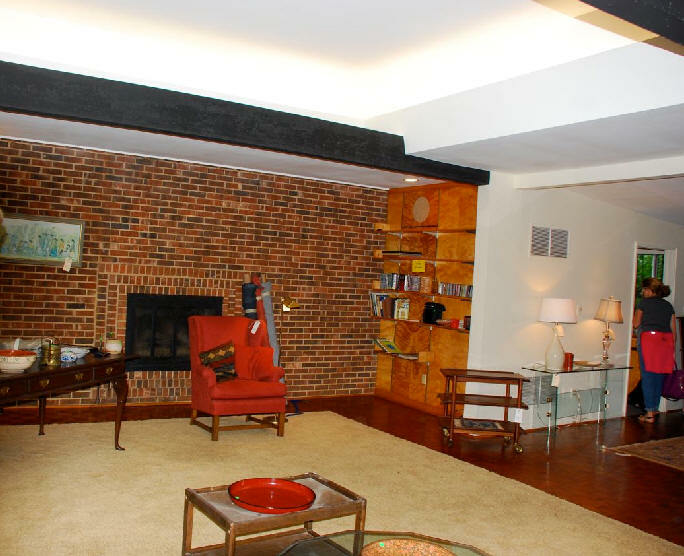 Sold in 1967 to Lucy Conant. Sold in 1975 to June Burbage. 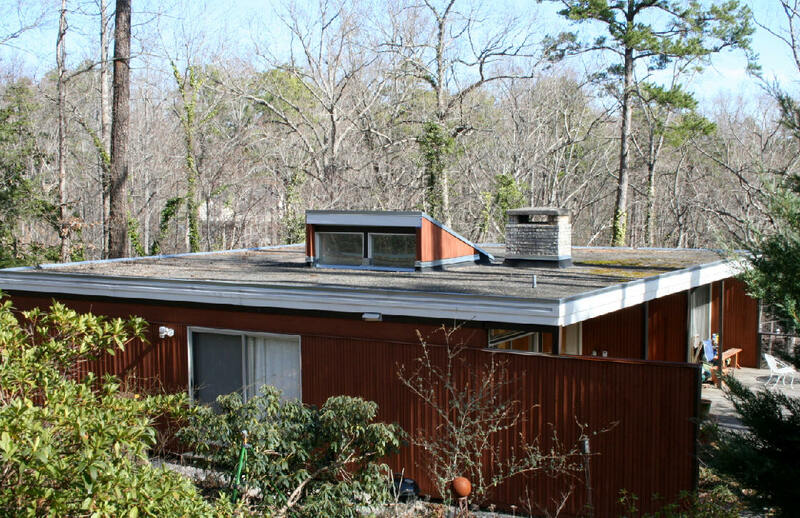 Sold in 1981 to John and Daphne Garner. 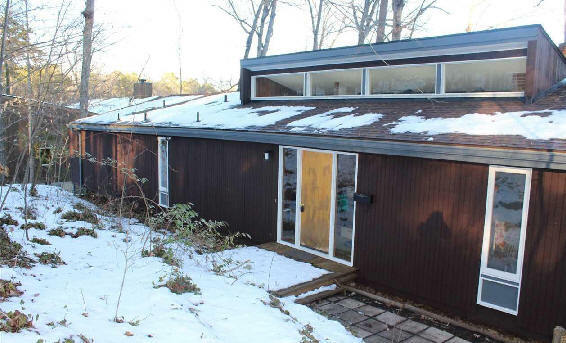 Sold in 1974 to Mark Shuman. 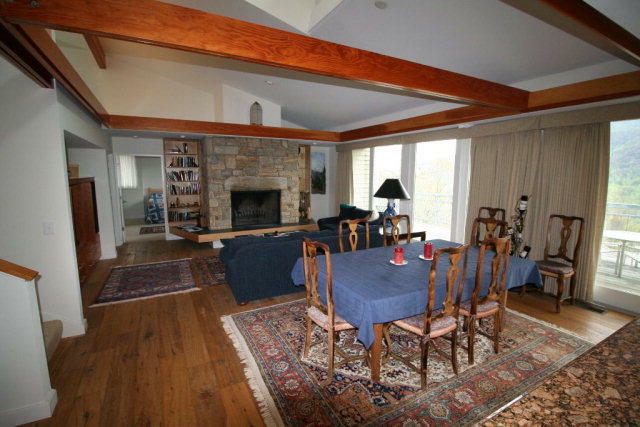 Sold in 2004 to Amy and Jeff Demagistris. Top two photos by Taylor Lewis. Bottom photo by Lucy Pittman. 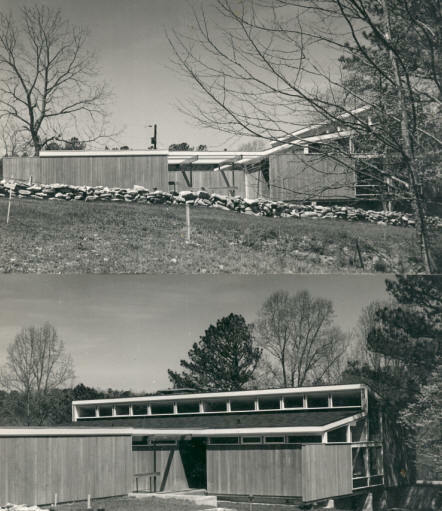 1966 - The Julia Watkins House, 1708 Curtis Road, Chapel Hill. 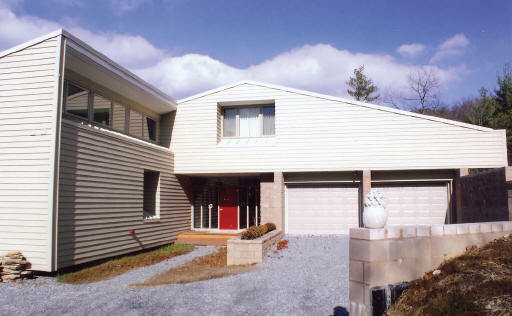 Sold in 1993 to Margaret Sachs who still owned it as of 2012. 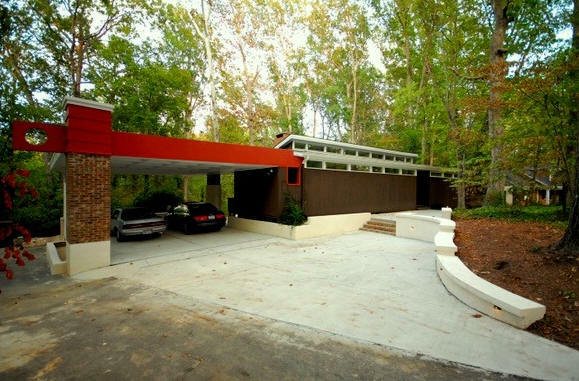 1966 - The Robert W. and Ann Work Residence III, 1800 Rangecrest Road, Raleigh. 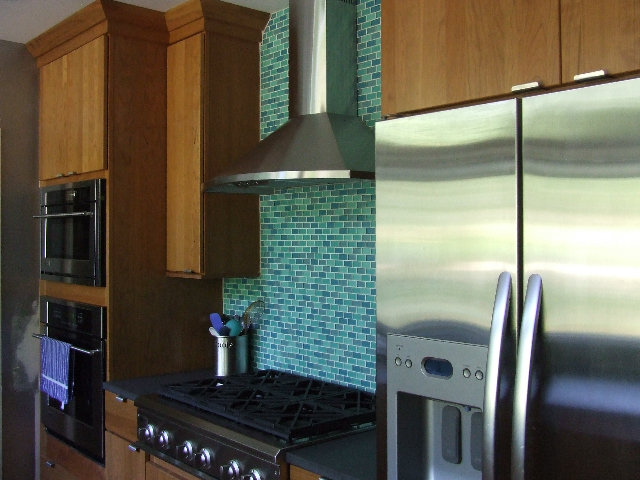 Built by Cameron Construction. 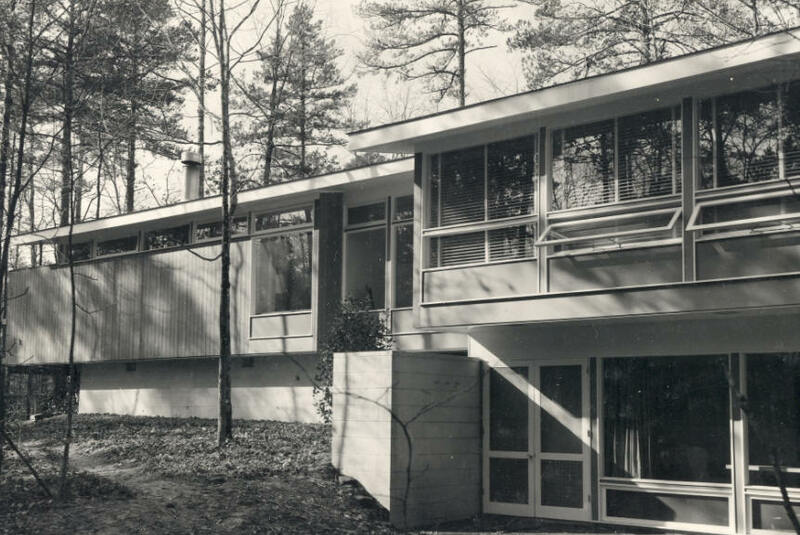 This was Shawcroft's second house for the Work family and the family's third Modernist house. Sold to Elmer and Michelle Wellons in 1984. 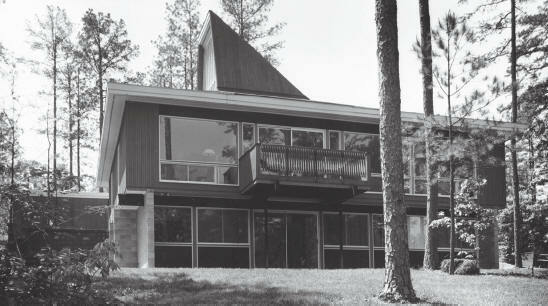 Sold in 1986 to Robert and Carole Spitz. Sold in 2014 to Kathy and Daniel Cody. B/W photos by Taylor Lewis. 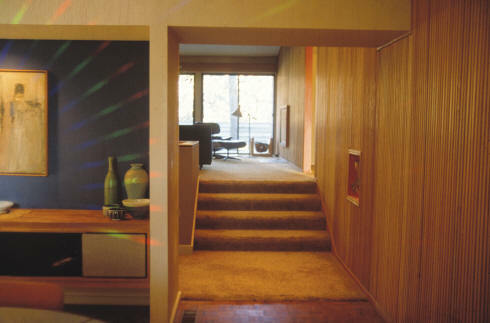 Color photos by Leilani Carter. 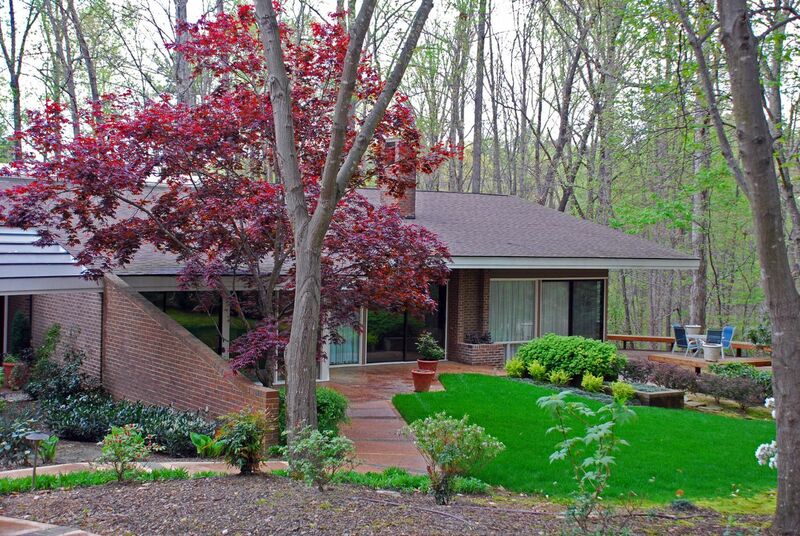 1968 - The Kenneth and Aspasia Knoerr Residence, 1608 Woodburn Road, Durham. As of 2012 still owned by the Knoerrs. 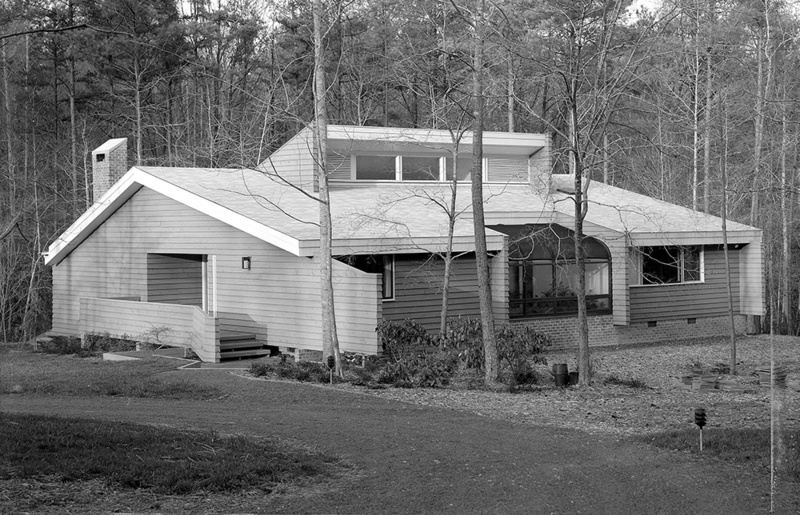 1970 - The Josef and Sonia Anderle House, 309 Glenwood Drive, Chapel Hill. Deeded to Mark and Pam Anderle. 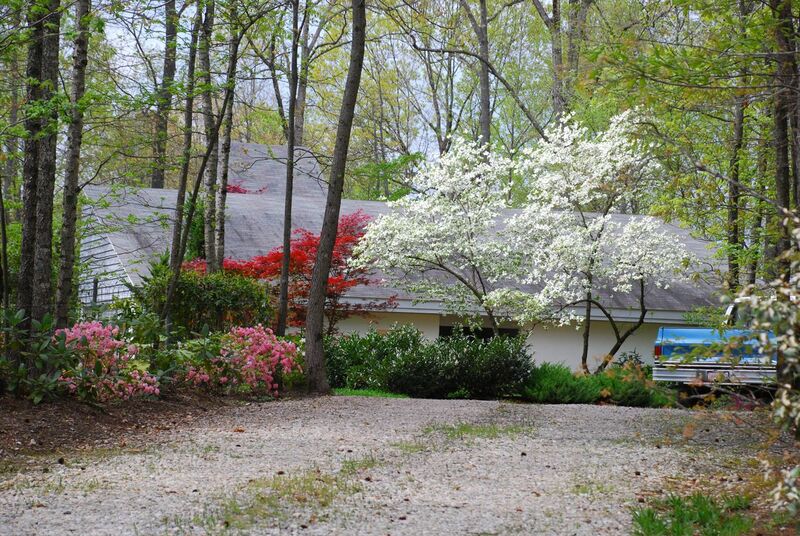 Sold in 2019 to Tommy Lee White and Laurie Hinzman White. 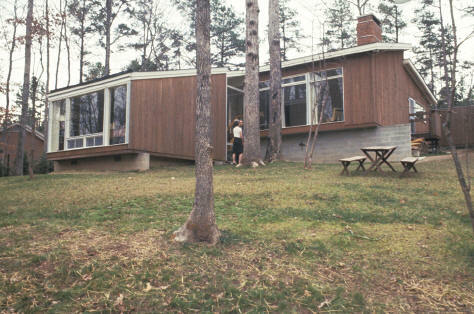 1971 - The Stack Residence, Fayetteville NC. Destroyed by fire, unsure of the year. 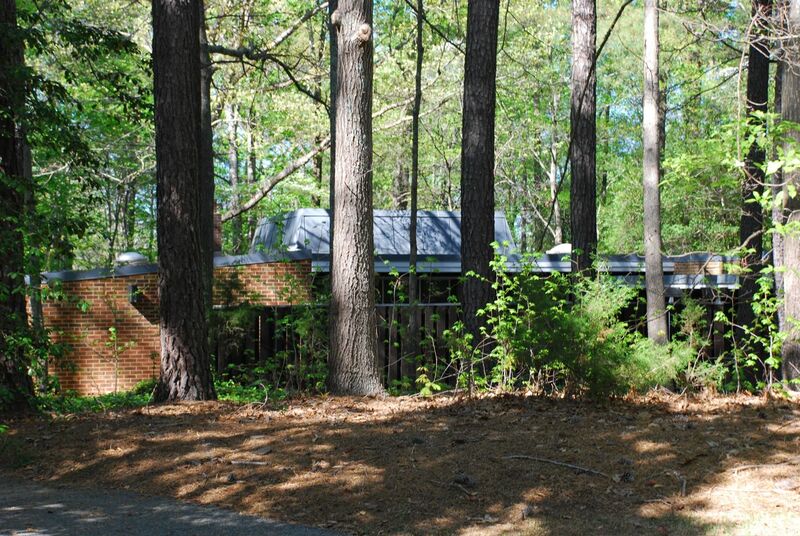 1974 - The Charles and Joann Jones Residence, 3705 Shadybrook Road, Raleigh. Joann Jones died young and her husband later remarried. Sold to Jerry C. Liebhart in 1986. Sold to Triple B Investment (Baxter Benson) in 1988. Sold to John Kilgore in 1991. 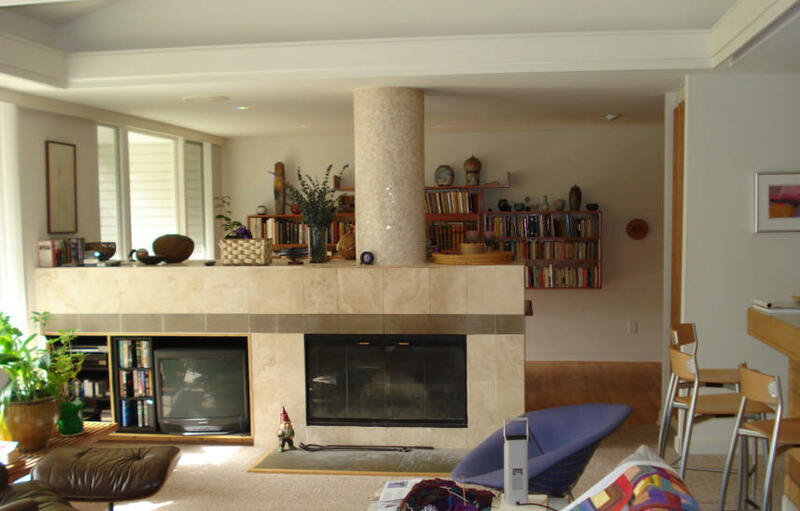 Sold to James and Molly Kuehn in 1995. Sold in 2001 to Mack and Julie Paul who still owned it as of 2019. 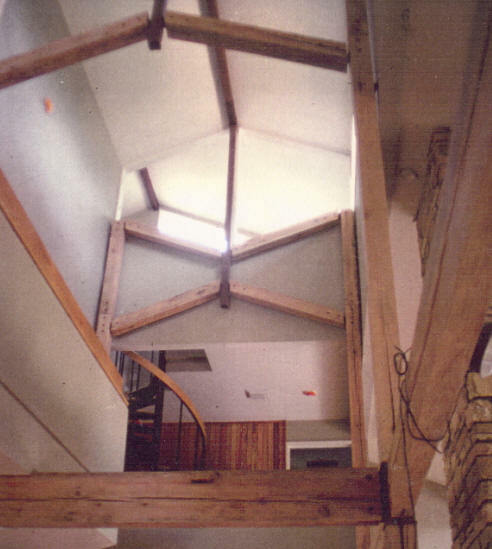 They began renovations in 2007 designed and built by Vinny Petrarca. 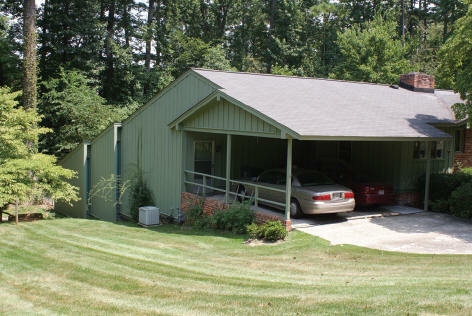 The original under-the-house carport was converted to an interior family room/guest suite and a separate garage added. Additional renovations in 2014 and 2018 designed and built by Raleigh Architecture and Construction. Bottom photo by Keith Issacs. 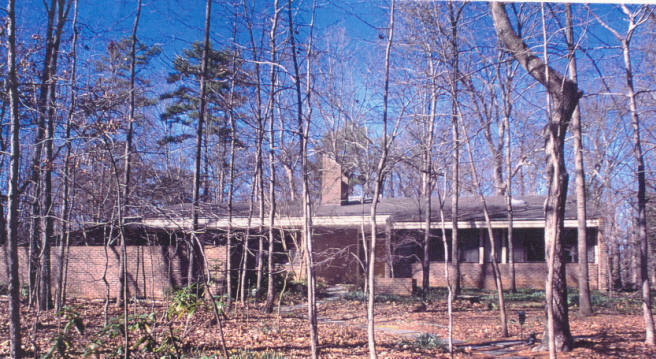 1975 - The Charles L. Fulton Residence, 3624 Williamsborough Court, Raleigh. 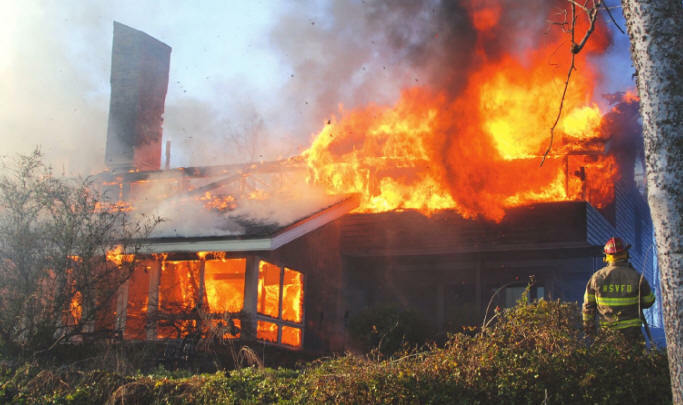 Was on the market for two years with no serious offers, according to neighbor Gregory Poole, Jr. With the house in deteriorating condition, Poole purchased the land and destroyed the house. 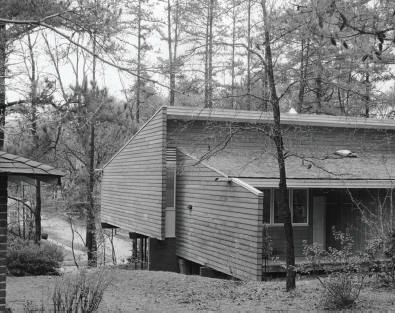 1976 - The Brian Shawcroft House I, 1509 Pineview Street, Raleigh. 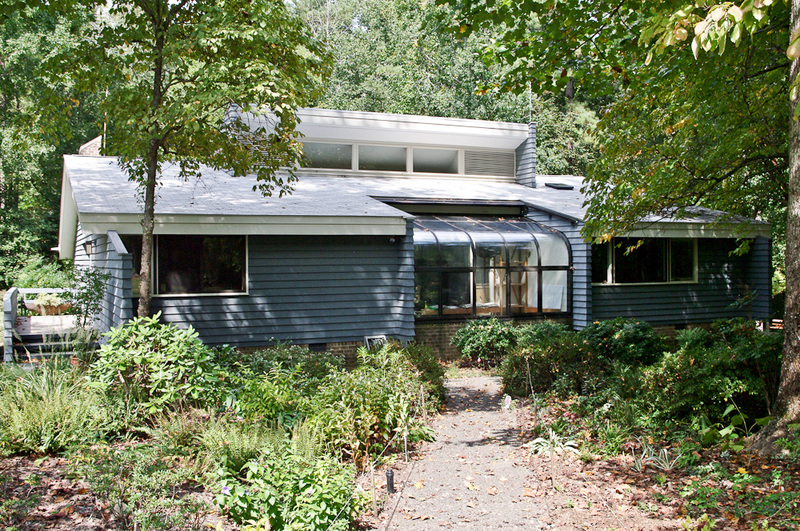 Sold in 1997 by Rodney and Nancy Rich who still owned it as of 2012. 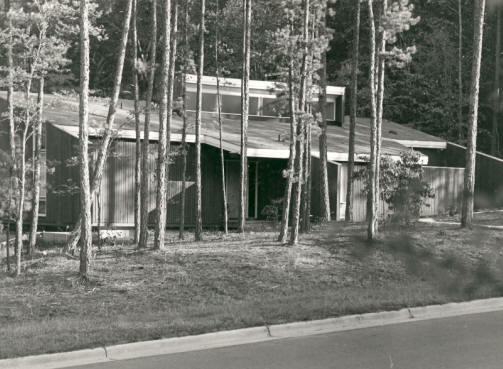 1976 - The Frank H. and Lillian Moore House, 13300 Durant Road, Raleigh. 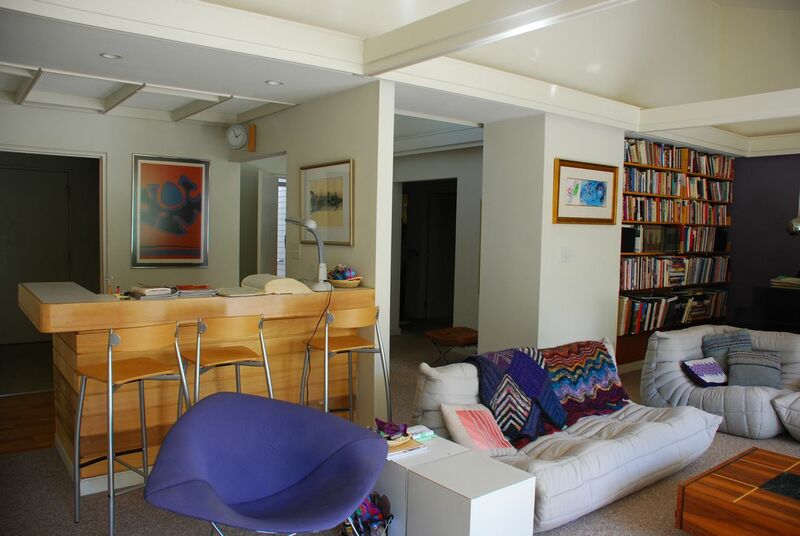 Sold in 1994 to Paul and Alice Chou. 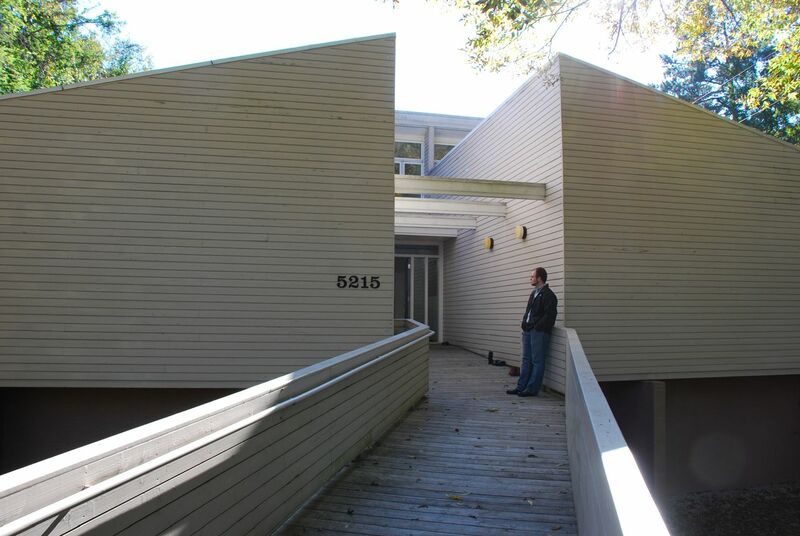 Shawcroft designed a renovation in 2013, unbuilt. 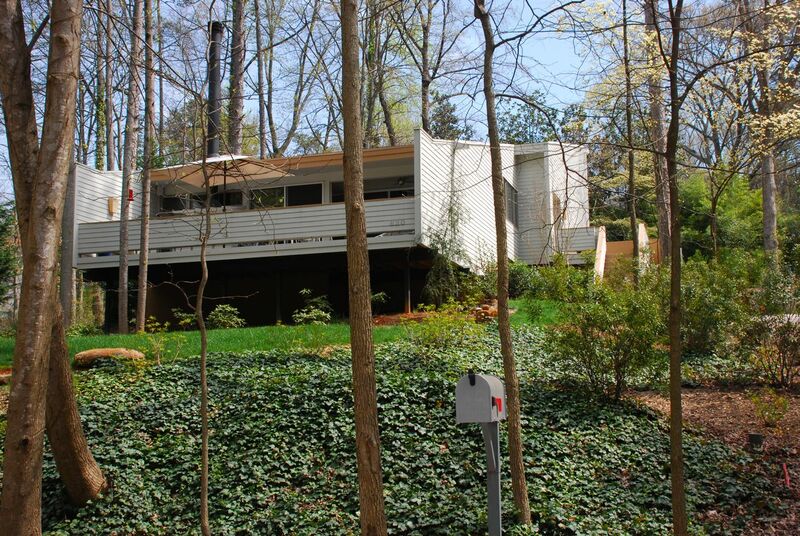 1976 - The William and Shahrivar Wakeham House, 6809 West Lake Anne Drive, Raleigh. 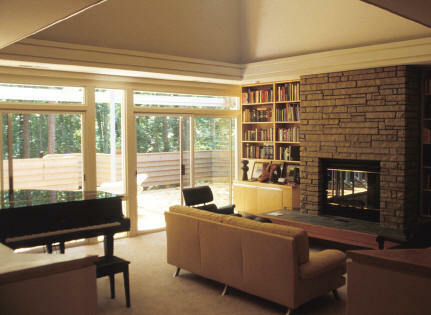 Shawcroft and partners Clay Taylor and Jerry Cook designed this home for a client who ultimately did not pay their design bill. 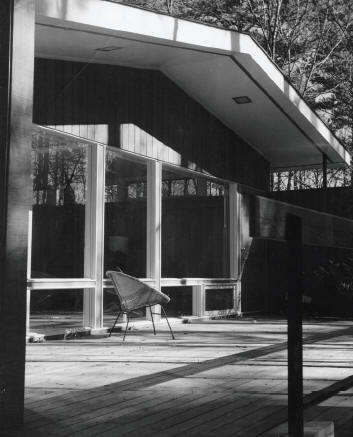 Undeterred, they built the house anyway and sold it to architect William Wakeham and his wife Shahrivar. 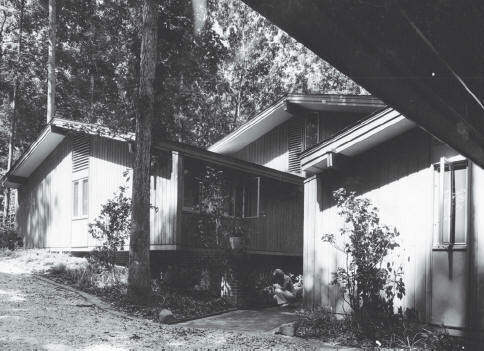 William Wakeham designed a house next door at 6801 West Lake Anne Drive for his wife's mother (here). Sold in 1997 to Michael and Linda Carter who still owned it as of 2012. They put on an rear addition (bottom photo), which was designed by a builder (who went bankrupt and moved) but was finished up by Chris Nipper of Custom Renovations. 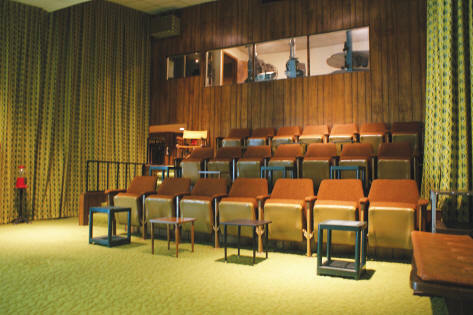 1976 - The Albert D. (Al) and Beverly Wolfheimer Theatre Addition, 5421 Thayer Drive, Raleigh NC. 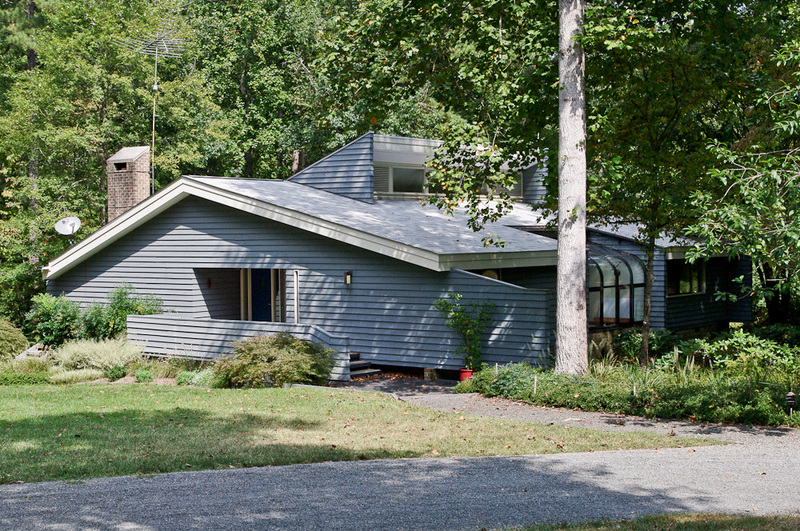 Sold in 2014 to Brian and Shannon Vetter. 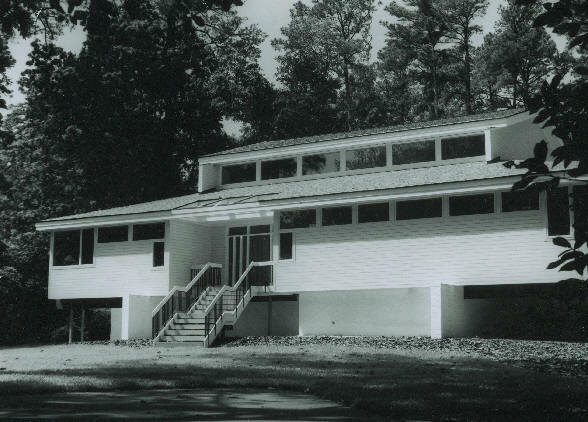 1983 - The Mac and Julie McVay House, 3104 Churchill Road, Raleigh. 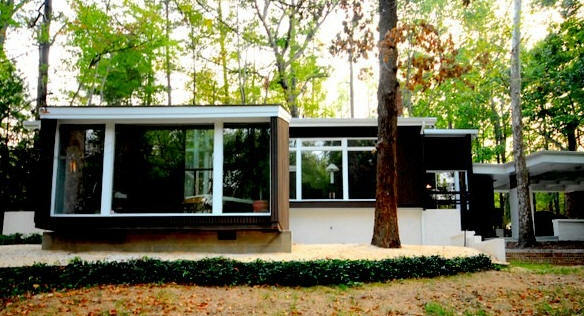 This was one of Raleigh's first accessible Modernist houses, built to accommodate Mac McVay who suffered from polio. 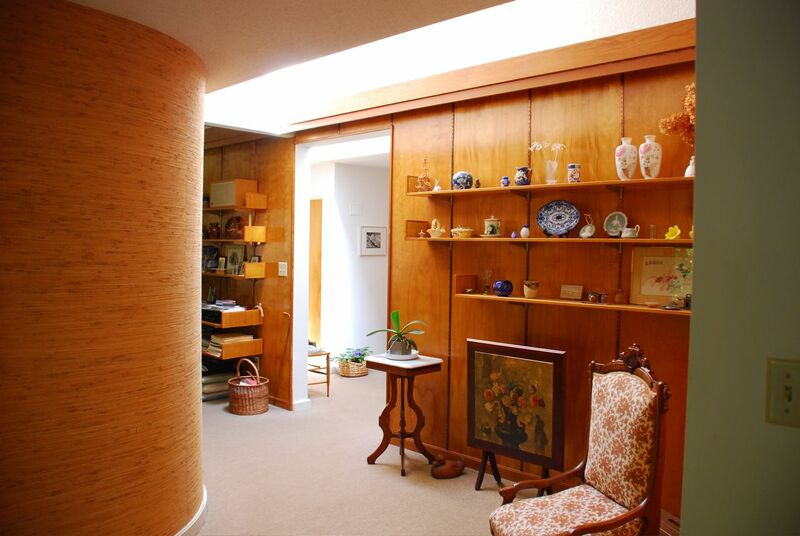 Features wheelchair access allowed many views from his chair to the outside, plus curved walls. As of 2012 owned by the Julie McVay Trust. 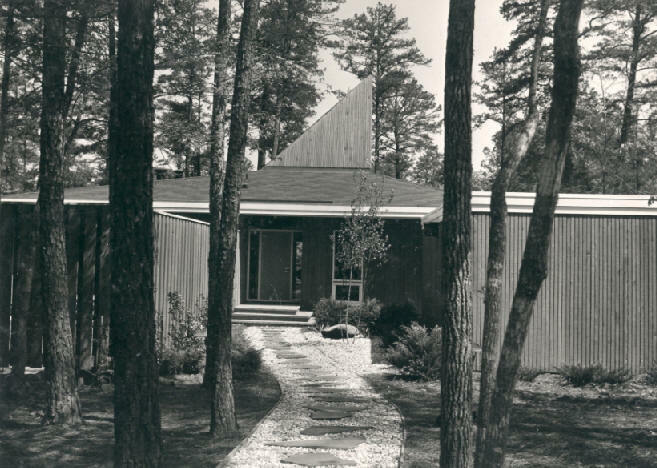 1983 - The Gary Alvin Haakenson Residence, 3800 Ebenezer Church Road, Raleigh. Top photo by Leilani Carter. 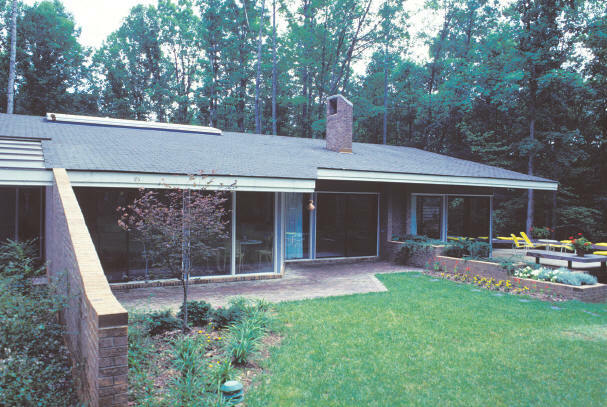 1986 - The Alan G. and Martha M. (Marty) Finkel Residence I, 12225 Norwood Road, Raleigh. 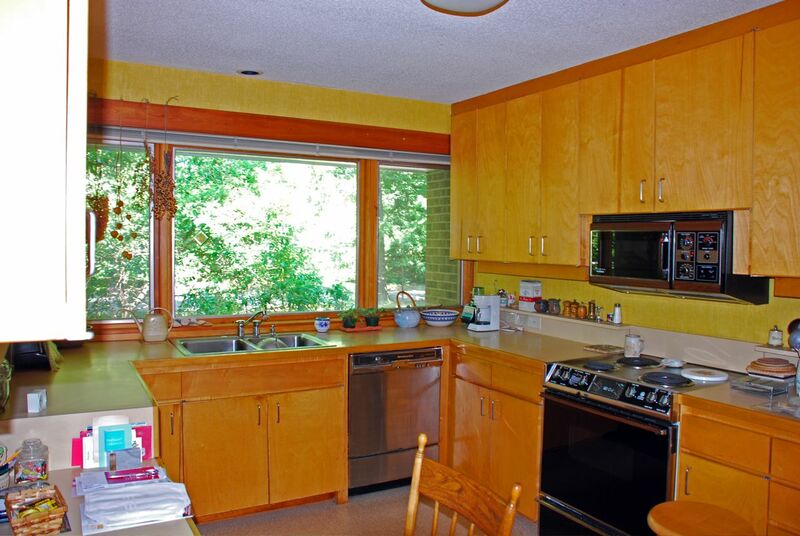 Sold in 1987 to Kevin C. McKean. Sold in 1993 to Gaston and Vicky Vidana. As of 2012 still owned by Vicky Vidana. 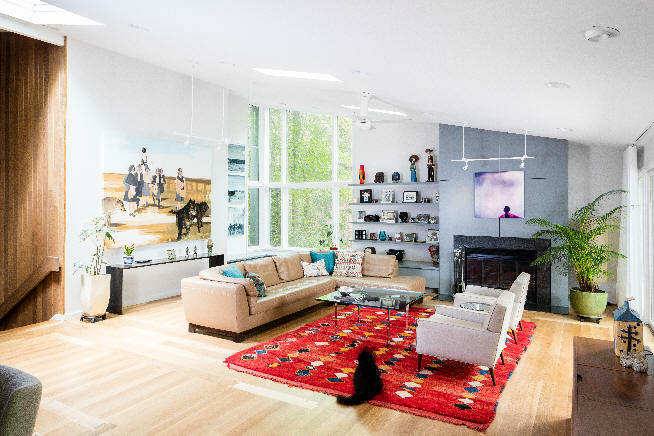 Rental house. 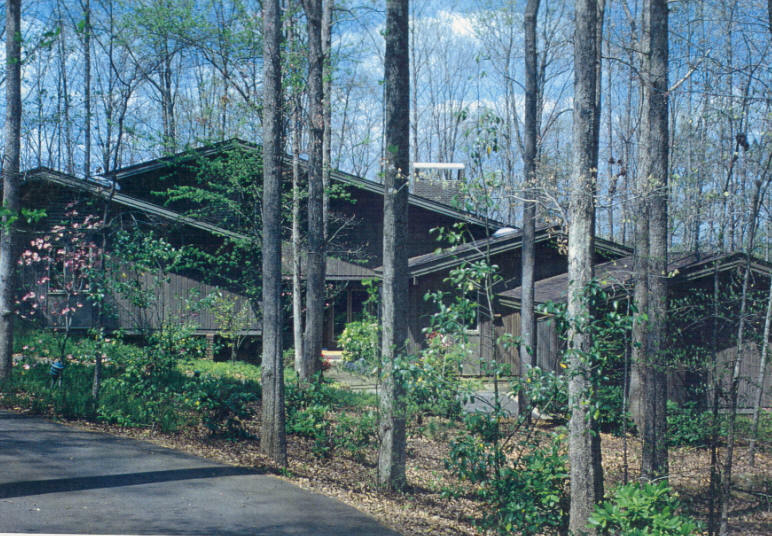 1991 - The Alan G. and Martha M. (Marty) Finkel Residence II, 3566 North Hwy 96, Oxford NC. Photos by Peter Pflasterer. 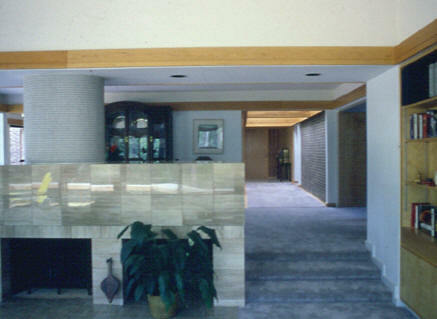 1993 - The Porter C. Pickell Renovation, 1013 Roosevelt Drive, Chapel Hill NC. 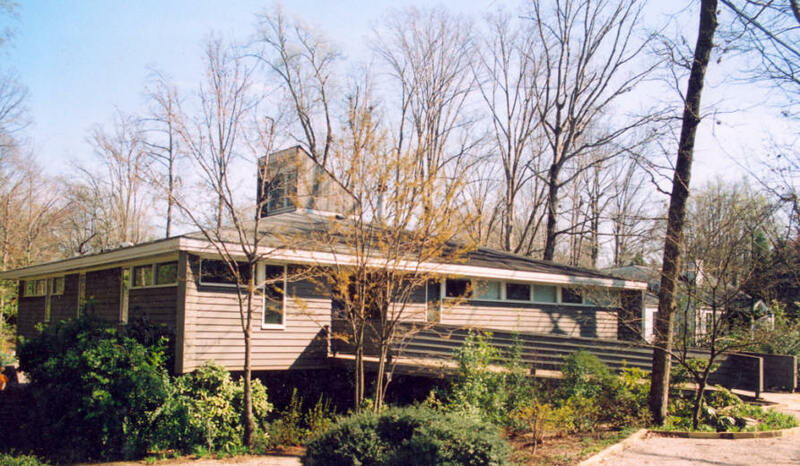 Sold in 1999 to James and Laura K. Price. 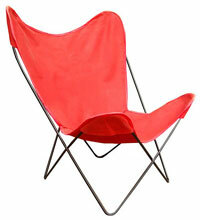 Sold in 2004 to Samuel and Kimberly McConkey. 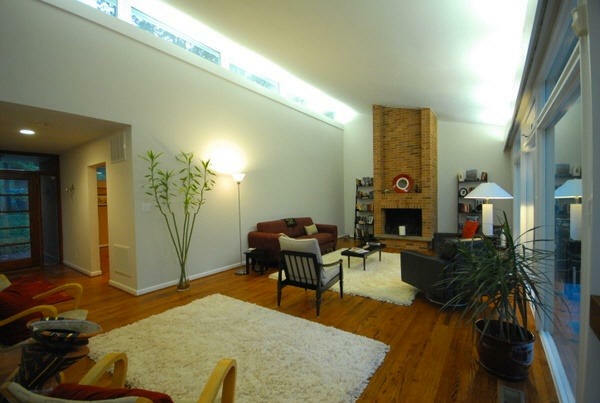 Sold in 2005 to Peter and Meagan Hastings. Sold in 2014 to Lauren Rivers. 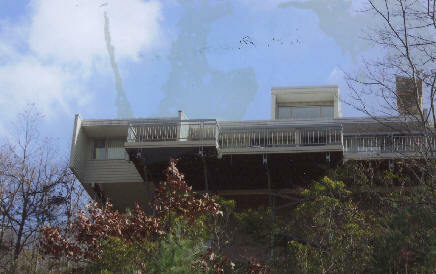 1994 - The William and Linda Nelson Residence, 2110 Buckingham Road, Raleigh. 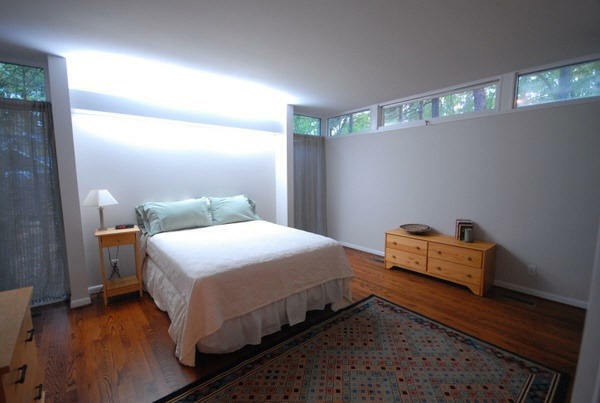 Ellen Weinstein did renovations in 2004. 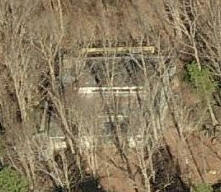 As of 2012 still owned by the Nelsons. 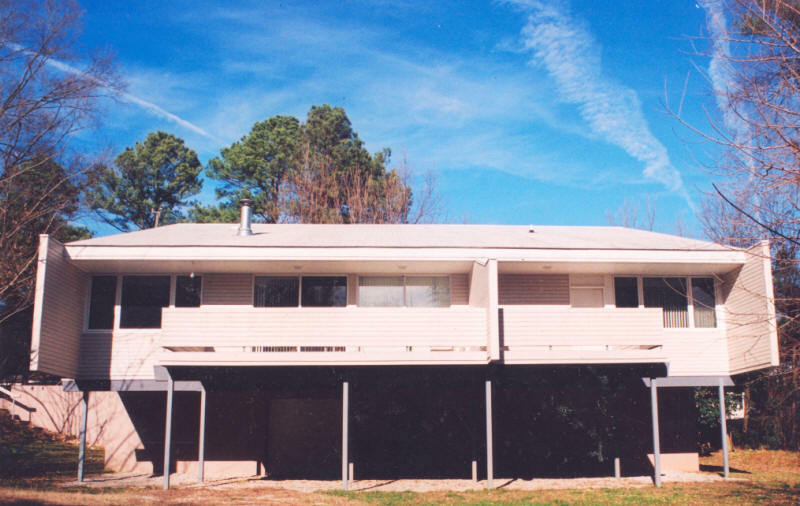 1995 - The David and Leslie Browder House, 402 Wildwood Avenue, Rocky Mount NC. 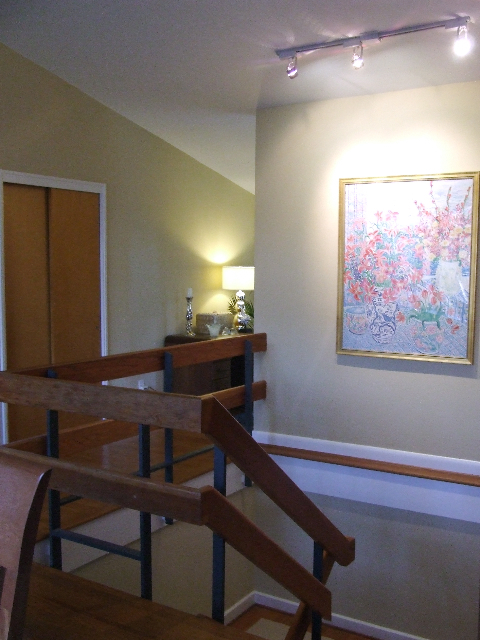 Shawcroft was working on a renovation of their house when it flooded during a hurricane. They decided to tear it down and Shawcroft designed this new one. 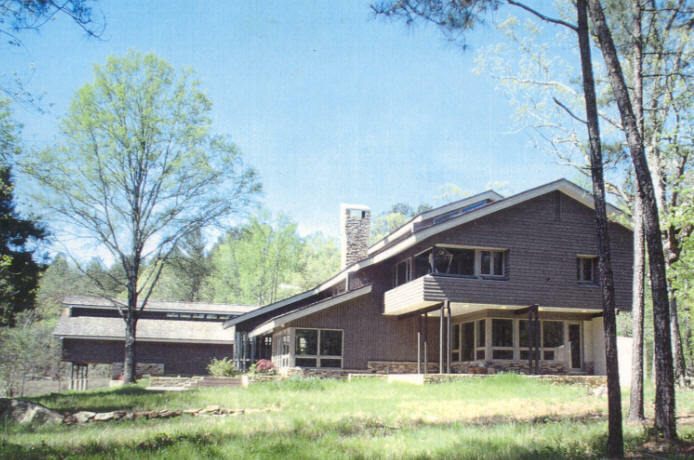 1996 - The Linville Monroe Meadows and Virginia Elaine Coggins Meadows Residence, 2774 North Plank Road, Sanford NC. Built by Caviness. 200 acres. Shawcroft regarded this as his finest work. Took three years to build. 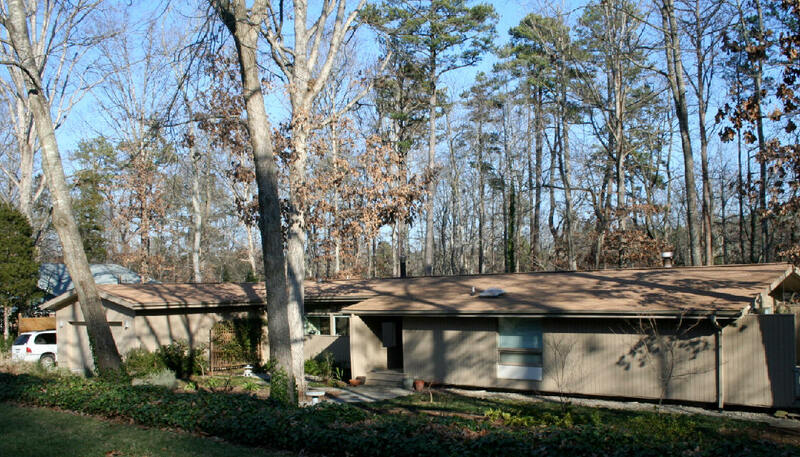 Sold in 1998 to Edward M. and April Bunch Metcalf. 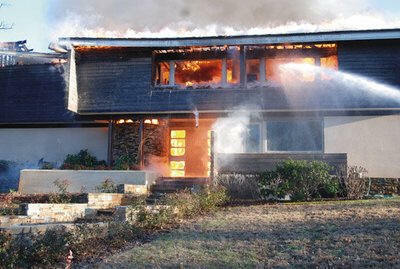 Destroyed by fire in January 2010 (last three photos from the Sanford Herald). 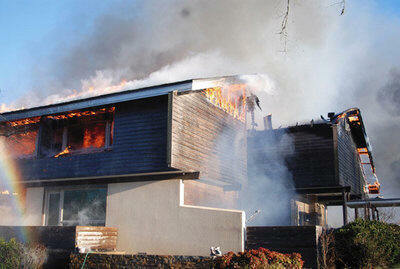 The fire started in the converted barn/guest house and spread to the main house. 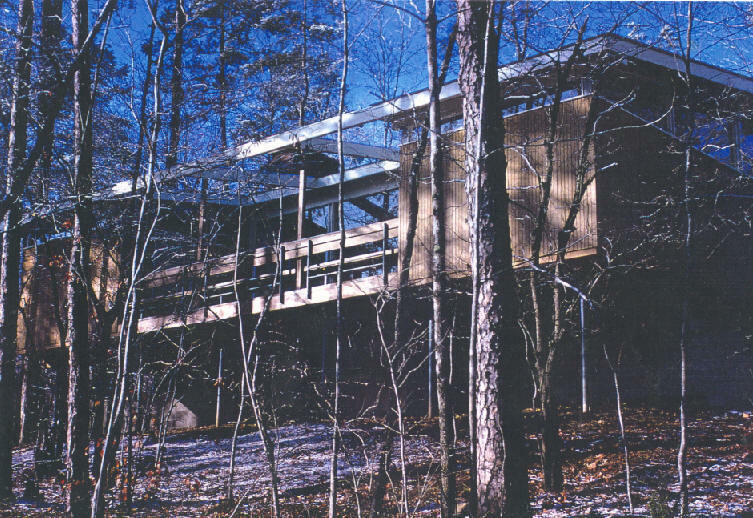 Shawcroft proposed a renovation, unbuilt. 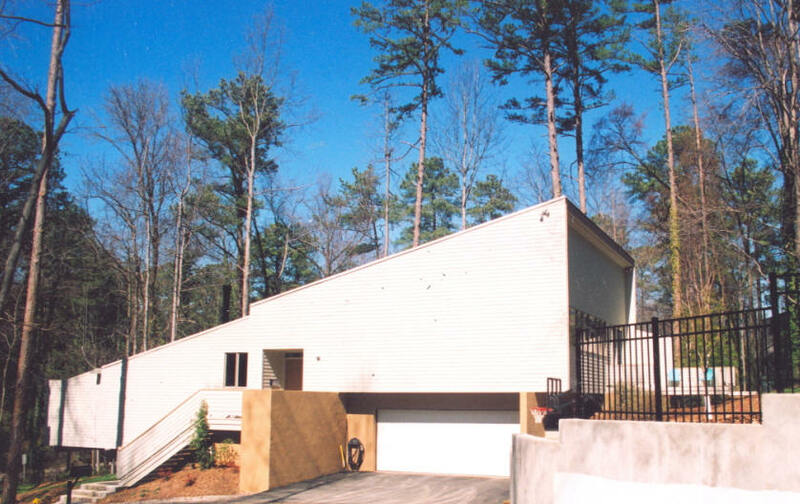 1997 - The Douglas E. and Linda Hilton-Cain Residence, 4620 Golden Heights Drive, Raleigh. As of 2012 still owned by the Cains. Photo by Leilani Carter. 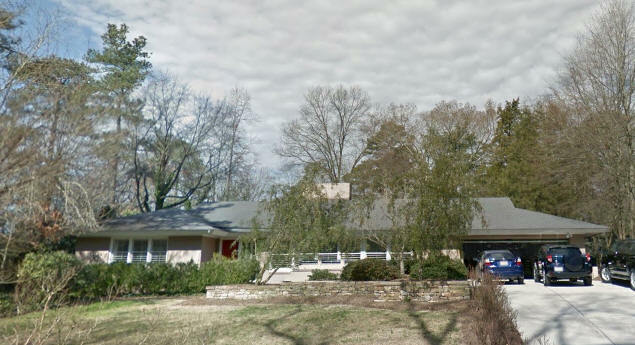 2002 - The Gruer/Shawcroft Residence, aka Shawcroft II, 5215 Melbourne Road, Raleigh. 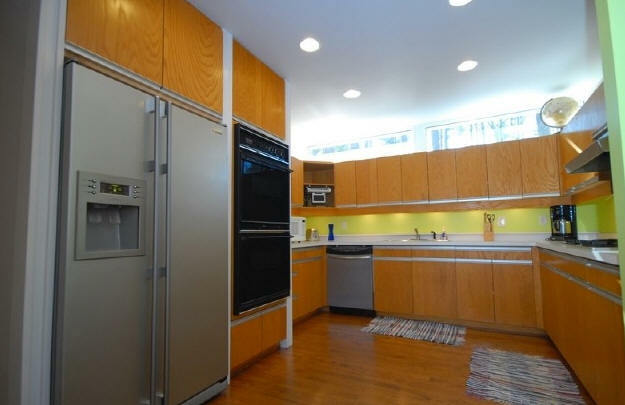 2215 square feet. 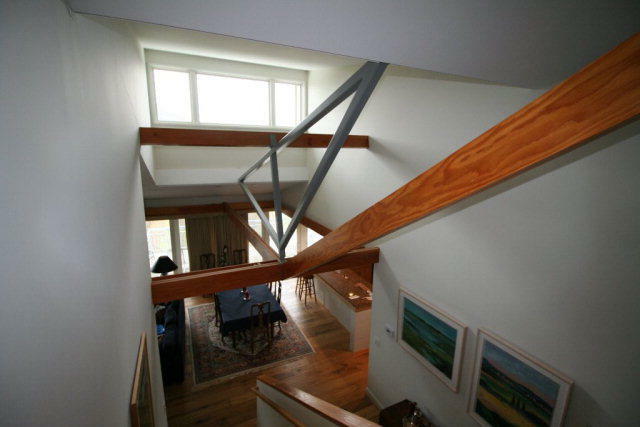 Built by David Ballard of Ballard Construction. Photos by Leilani Carter and George Smart. Featured on the TMH November 2009 Tour. 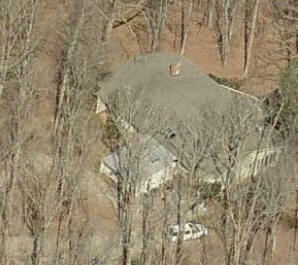 2006 - The James Kuehn Residence, 820 Fairall Drive, Raleigh. 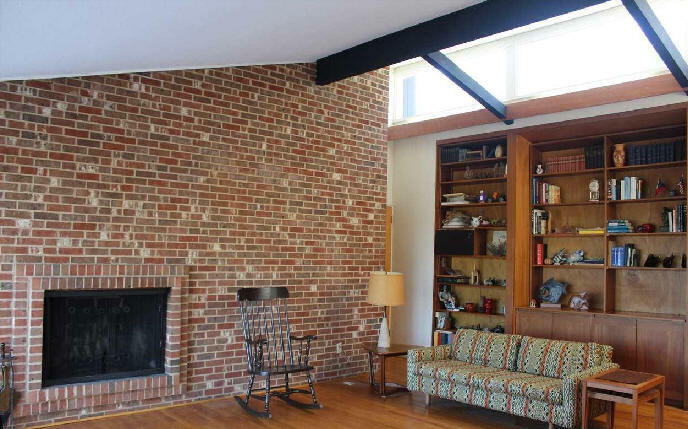 2133 square feet. Part of the TMH Modern 2010 Tour. Bottom photo by Leilani Carter. 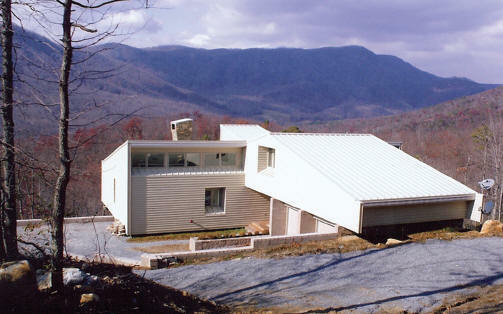 2008 - The Fulton/Puckett Residence, 547 Wilderness Drive, Marion NC. Commissioned 2007. 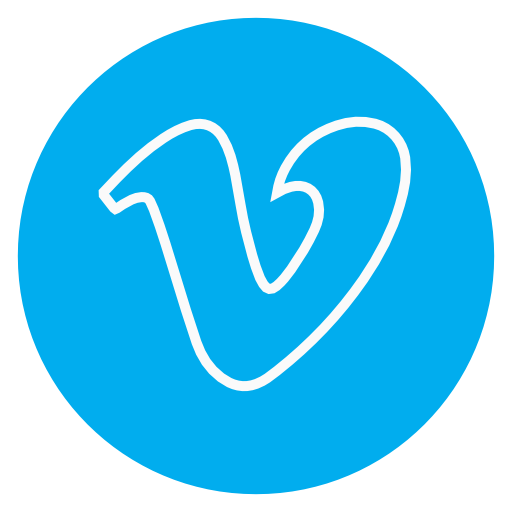 For sale 2015-2016. 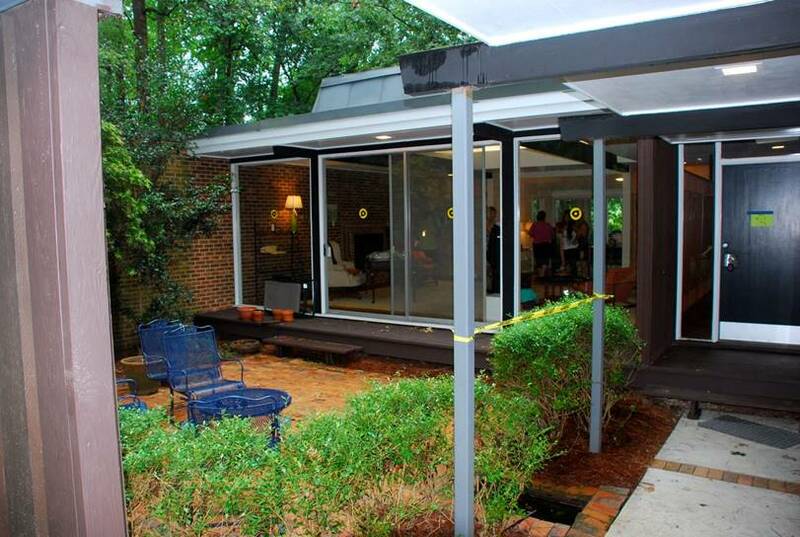 2018 - The Kathy Gruer House, 1013 Gardner, Raleigh NC. Unbuilt. Sources include: Brian Shawcroft, Vincent Petrarca, AIANC, David Ballard, Linda Nelson, Mack Paul, Robby Johnston.